CONGRATULATIONS TO INSTAGRAMMER @PRECIOUS_ST0NE (KIRSTEN) – SHE CHOSE THE DREAMWEAVER BAG AS HER WISH LIST ITEM! HAD SOMETHING ON YOUR WISH LIST FOR A WHILE? This month’s winner will win 1 of their Spell wish list items! Trawling through blogs over my morning coffee has it’s draw backs… a growing, increasingly unattainable wishlist is one of them. So (in a show of mutual sympathy!) we’re offering one of our most exciting giveaways yet! Simply have a look on our online shop and choose one item you’d love to win! LIKE this post on bloglovin’ HERE. Paste a link of your ultimate WISH LIST item from our online shop to our Facebook page HERE. Then leave your facebook page URL or instagram ID in the comments below so we can contact* you! *Why do we ask you to leave facebook/instagram deets instead of email? Well, we’ve stopped taking emails on our blog because pesky spammers were lifting them and sending spam to our gorgeous followers!! Grrrr! is your giveaway open internationally ? The Pocahontas Princess Necklace is my favourite, stunning. hope you also ship pressies to holland! I am more or less in love with everything. Just choosing one thing as my ultimate wishlist was torture. my facebook http://www.facebook.com/gabriela.telles.5201 and intagram @gabrielatelles i`m so in love with your clothes!!!! This is such a beautiful competition! You are so generous Spell, this competition put a smile on my face on such a terrible day! It's wonderful to see humanity in the world of fashion. I'm a struggling art student dying for some western flare. wishing on my lucky stars! I LOVE you whole COLLECTION, your shop is MY WISH LIST!!!!!!!!! These give away contests are awesome! ah I don't have facebook!! You guys are absolutely amazing. This giveaway is just too good to be true. How on earth will I be able to choose?! Ahh, so many beautiful options to choose from! Oh goodness, please oh please choose me! Everything in your shop is gorgeous..
a really hard choice! EVERY piece in your webshop is amazing! Oh how to choose, I love everything Spell! – and the sold out leggings. ESP the feather ones, are you making again?? I adore the moon child sequined dress, but I would actually take pretty much anything else. I would lo-lo-love to put the Antique Tribal Wallet into my Bone & Tassel Bag! Love what you girls do, all of your creations… your gorgeous store in Byron… and your online presence is continually inspiring. Have been dreaming about your turquoise tassel pouch for so long! Ah, love your shop and blog, you girls are awesome <3 Much love! Oh my oh my oh my! How on earth to choose!?! I am absolutely IN LOVE with these boots!! Neeeed! Just want to say thank you for continuing to share the love with such great giveaways! It is very kind and not something every design house would do, and little things like this make us love you all the more! Spell designs are absolutely incredible! Since discovering you, my closet has had a serious Spell overhaul! The item that I currently most covet that is at the top of my wishlist is your Night of Hunters Studded Boot in White. So cool and a great essential staple for the brisk Fall season! big love from the west coast of the u.s.a. !!!! https://www.spelldesigns.com/blog/blog/blog/product/southwest-slip-charcoal-silk/ < -- this is at the tippy top of my wish list!! Love your style. I like those boots! **night of hunterS – egads – must be time for bed!! Indiana Crochet Satchel one day you will be mine! I posted the cheetah-leggings. But. They're out of stock. Am i in trouble now? But hey, i would jump for joy and most probably do a couple of dances around my house with any give-away from you. A sloppy joe? YesWay! A vest? Sure! Another legging? Woooppiii! https://www.spelldesigns.com/blog/blog/blog/product/kate-and-the-gypsies-sloppy-joe/ DEFINITELY. love it so much. in a s/m! I chose the dreamweaver bag in antique brown leather because my dog just chewed my vintage mexican leather bag to pieces. :-( I'm heart broken and in desperate need of a new favourite handbag and I'm in love with this one! xo fingers crossed! It was a bit of a toughy as I have a couple of main things on my lust have list, but I went with what would make my heart sing :). Your work is just so uniquely beautiful. Keep up the fantastic work girls! Wonderful creations!! Nice post we also provides all types of latest and fancy women apparels in the best and affordable price. Wished for the dreamweaver bag! Lovely goods, Ladies. Wishing for the Black Bull Horn Breastplate Necklace! fingers are crossed!! so hard to choose just one thing! You're designs are so so beautiful. Amazing giveaway! Thanks for this opportunity! The tassle jacket is unreal…but I am obsessed with everything you make – awesome giveaway ladies! Love your shop! It was so hard to choose! No lie almost every thing is on my wish list, too much gorgeousness to take! 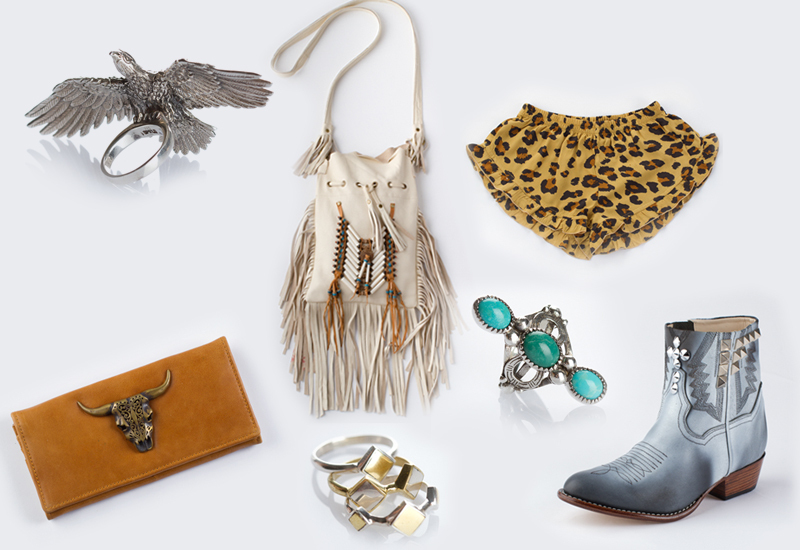 Love all your stuff but wished for your Cowgirl Dreams Tassel Jacket! thank you so much for this great oportunity! ooohhh i hope so much to win this beautiful ring…i really love it! well, good luck for everyone! Difficult to choose just one item, everything is so beautiful and unique. Looveee it all. Remember.. Sweden needs your Austria-fever..
if i get the bag i will give it all the love it deserves. This is a really exciting contest! Thanks guys! Thank You for this dream giveaway! I LOOOOOOOOOOOOOOOOOOOOOOOOOOOOOOOOOOOOOOOOOOOOOOOOOOOOOOOOOOOVE every single item on your website!!!! Since I had to pick just 1 item, I went for the Turquoise Mountain Ring: https://www.spelldesigns.com/blog/blog/blog/product/the-turquoise-mountain-ring/ SO GORGEOUS! I'm keeping my fingers crossed and I'm sending you greetings from Milan, Italy. Would love to win your Dreamweaver Bag – Cream Leather. Thank you for the entry! Just posted my wishlist item to your fb page! thanks for the opportunity, this is the most amazing giveaway, everrrr :D ! http://www.facebook.com/#!/ashley.howe.31 My facebook url! Such an awesome giveaway! http://www.facebook.com/#!/ashley.howe.31 My facebook url! Thanks for giving such an awesome giveaway! Fingers crossed!!! Hardest decision, every piece is so amazing!!! http://www.facebook.com/emma.y.svensson I love this blog! good luck picking a winner – there's a lot of entries on here! Last minute, but done, done and done! Crossing my fingers all the way from Sweden! Thank you and a royal wave from Blighty. gah! so hard to decide which item topped my list! i chose the buffalo hunter studded mini-dress but the crochet leggings are an extremely close second! I love everything about your Spell and Gypsy brand, especially the one with a story. Such as the Kimono, with the print you found at your inlaws, hilarious. I had to pick something, that was not sold out, but also the accessoires are really pretty. So I hope I followed as the instructions right. Now fingers crossed. Good luck everyone!!! All women unite in the agony of empty wallets and internet “window” shopping. Wow. I would die if I won this!